Thanks to ActiveBraking Technology, our SUV tyre's contact with the road is increased when braking, so you can stop in a shorter distance in both wet and dry conditions. 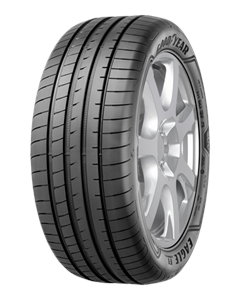 The Eagle F1 Asymmetric 3 SUV is made with a unique Grip Booster compound that increases the tyre's stickiness with the road surface, for powerful grip. This robust, lightweight tyre features SUV-Optimized Construction Technology, delivering improved handling, stability and tread wear and reduced rolling resistance.